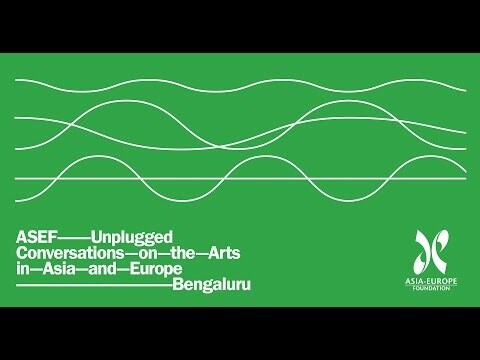 ASEF Unplugged is the Asia-Europe Foundation (ASEF)’s new event series offering more informal and intimate spaces for open, authentic and peer-to-peer conversations. Designed as a meet-and-greet session, ASEF Unplugged is a format responsive to the rapidly changing needs of an increasingly interactive and engaged audience. ASEF is gathering 10 cultural experts from Asia and Europe in Bengaluru, India on 28-29 January 2019 for a day and a half of conversation on cultural policy. The meeting will explore the nuances of cultural policy in Asia and Europe as well as seek practical actions to nurture and promote interest in cultural policy research in Asia. A community of practice will come together for a collective debate and reimagining of the future of cultural policy in an increasingly technology-savvy world. Who are the users/consumers of cultural policy? What information and data constitute cultural policy? What formats and channels are most suitable and relevant to users? Can cultural policy fit into today's fluid digital environment? With this meeting, a 1.5 day programme has been put together for reflections and concrete results to draw up a plan for future course of action.